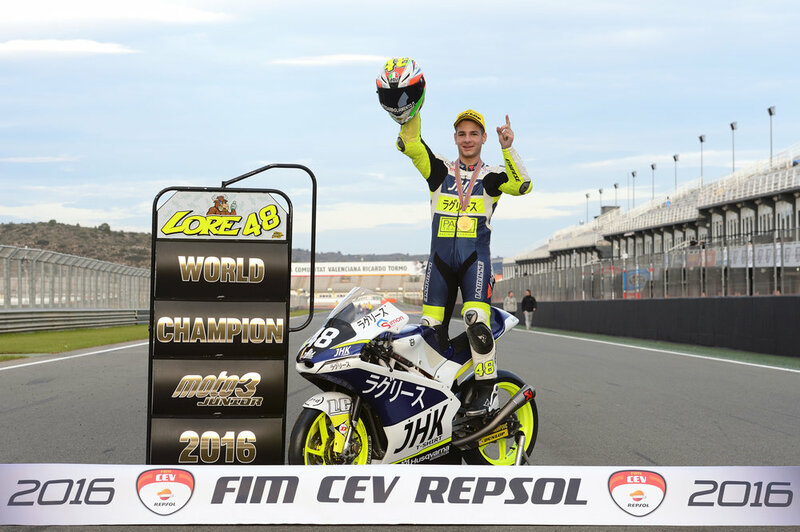 Lorenzo Dalla Porta (Husqvarna) was proclaimed FIM Moto3™ Junior World Champion after a dramatic final day of the season at the Circuit de la Comunitat Valenciana Ricardo Tormo in Spain. 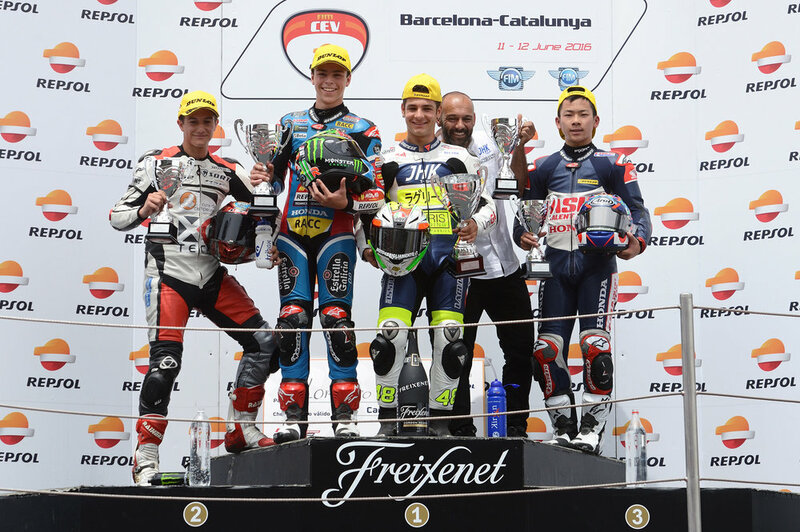 The Italian took a fourteen-point lead over Marcos Ramírez (KTM) into the last two races of the campaign, thanks largely to a mid-season run of form that included three straight wins at Barcelona-Catalunya and Albacete. 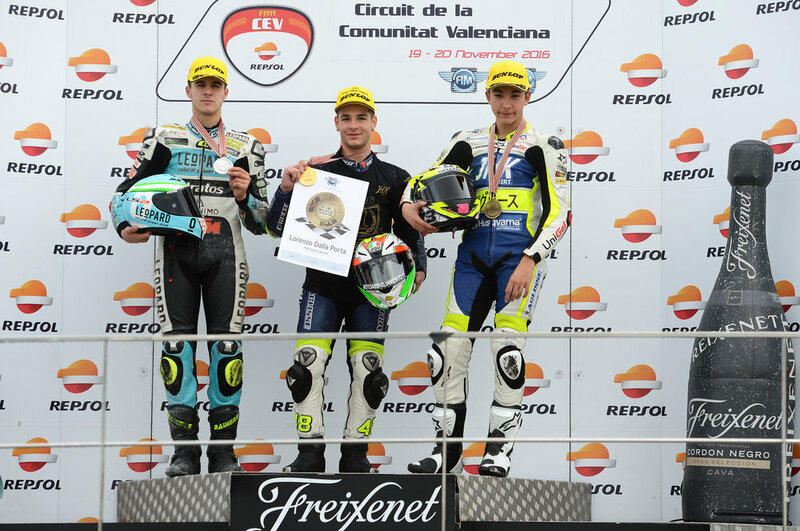 Ramírez had slashed the points difference with a pair of wins and a second place at Portimao and Jerez, setting up a tense title decider in Valencia. The drama began just moments before the start of the first race, when Dalla Porta's machine caught fire on the grid. Amazingly, his bike was judged race-worthy for the restart and he came from pit-lane through the 44-rider field to pick up three points in twelfth. Meanwhile Ramírez took his fifth win of the season and moved to the top of the championship by nine points with one race to go. 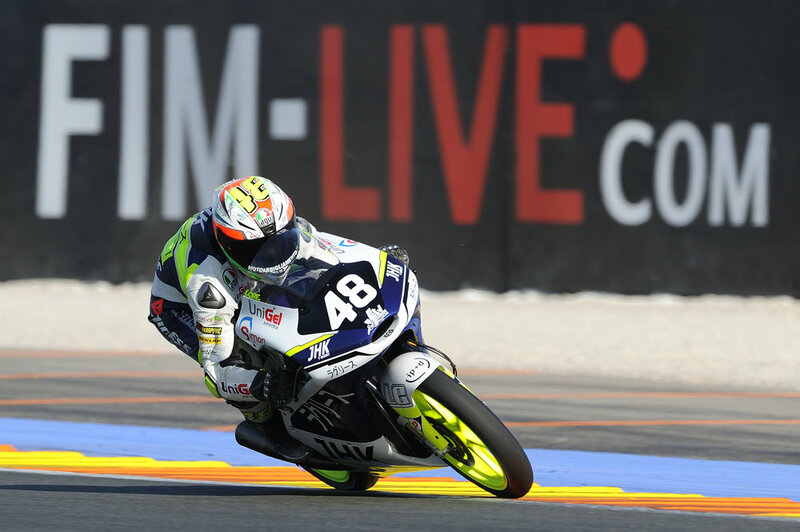 However, the Spaniard's luck would turn around in race two, a crash on lap twelve handing the initiative to Dalla Porta, who took a safe second behind team-mate Raul Fernández (Husqvarna) to clinch the title. 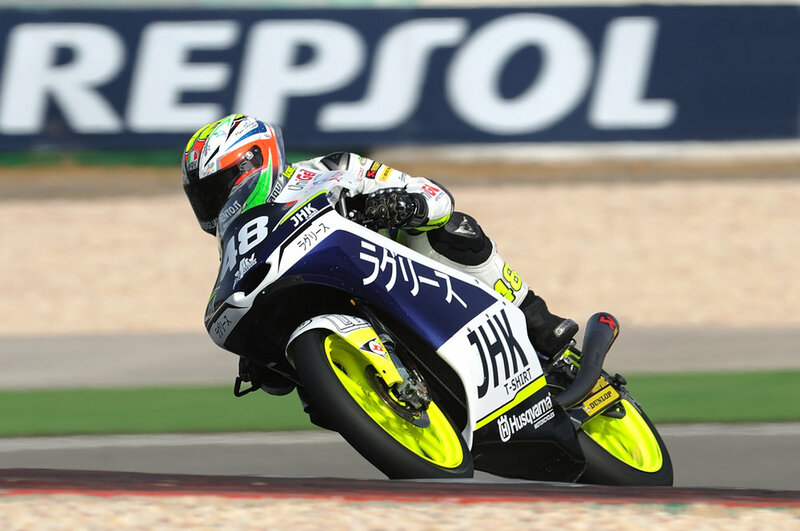 Fernández's first win, combined with second place in race one, proved enough to overhaul Japanese talent Kaito Toba (Honda) for third place.